The holidays are one of the best times to meander down memory lane. After all, many of us are probably even sleeping in our old childhood bedrooms while visiting our parents this Christmas. 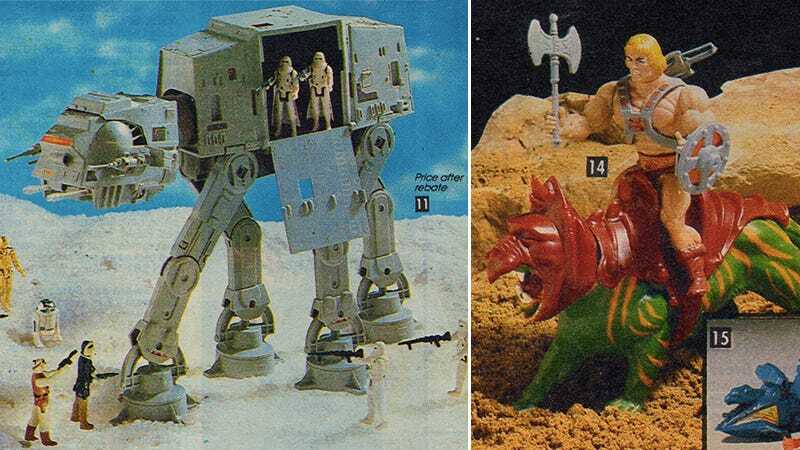 And because so many of you enjoyed Dinosaur Dracula's look at a 1985 JCPenney Christmas catalog yesterday, we wanted to point you towards this even better follow-up they posted of the best toys in Sears' 1982 Wish Book.